Look Below to see all the floor plans. 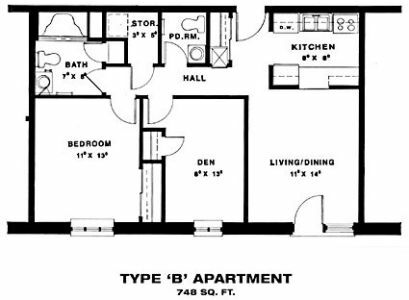 Please note that not all floor plans are currently shown. Missing floor plans will be posted at a later date. 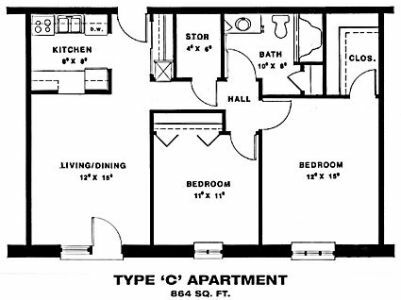 One bedroom, one bathroom apartment with 550 square feet. 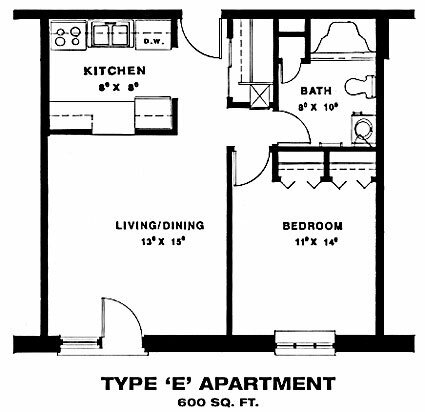 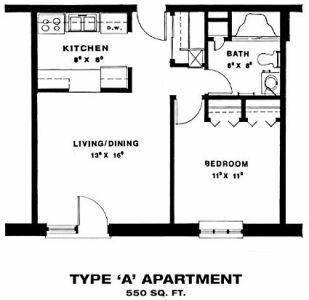 Two bedrooms, one and a half bathrooms apartment with 748 square feet. 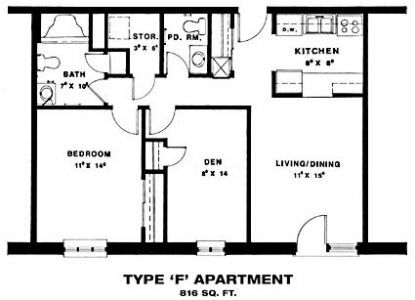 Two bedrooms, one bathroom apartment with 864 square feet. 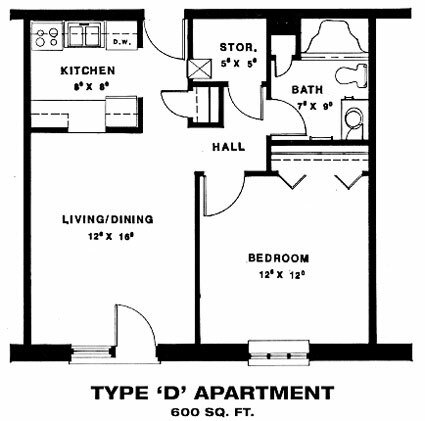 One bedroom, one bathroom apartment with 600 square feet. Two bedrooms, one and a half bathrooms apartment with 816 square feet.